I use a bicycle wrench to tighten the collet on my CNC router. It has 32mm and 30mm box-end openings – 30mm fits the nut on my collet. About half the time, I put the wrong side on the collet and feel a mild pang of annoyance. This is a failure of the tool markings (low contrast and low discriminability between end sizes) and a failure on my part because I should have fixed it the first time it happened. An obvious solution would be to just cut the useless end off. 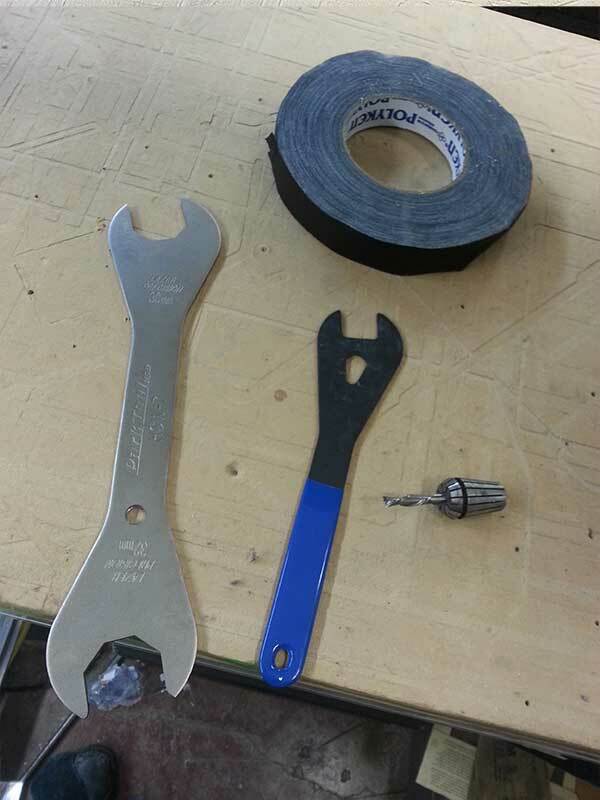 Reducing the functionality of tools isn’t my first line of offense, so for years I’ve just suffered this minor frustration. Anyone who’s worked in a shop long enough knows that these tiny annoyances add up over time and make things less fun and mistakes more frequent. Today, it finally annoyed me enough to think of a proper lazy fix. 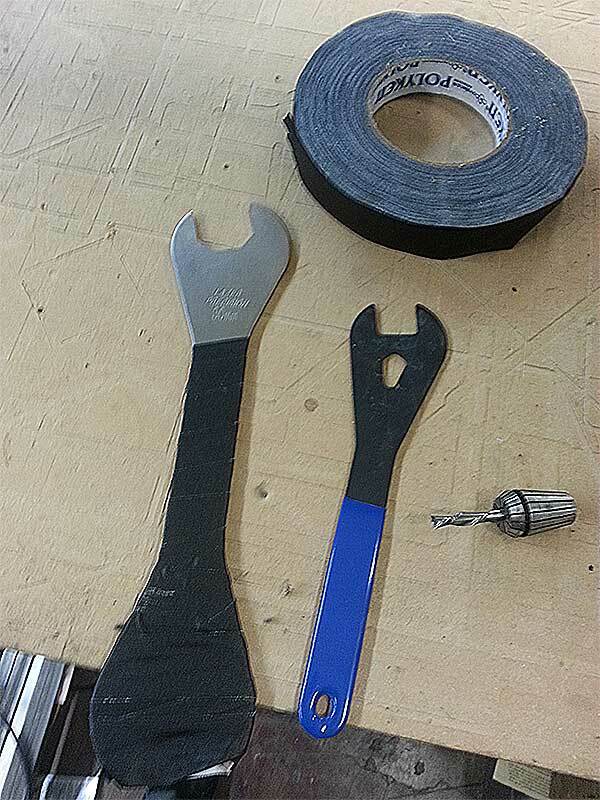 By gaff-taping over the far end, I created a grippy surface and a visually obvious orientation for the wrench.